We lost a Minnesota icon this year, master potter, Warren MacKenzie died on Monday, December, 31, 2018 at the age of 94. From the University of Minnesota, Department of Art to his long-time Stillwater studio, MacKenzie brought his art, craft and teachings to the world. 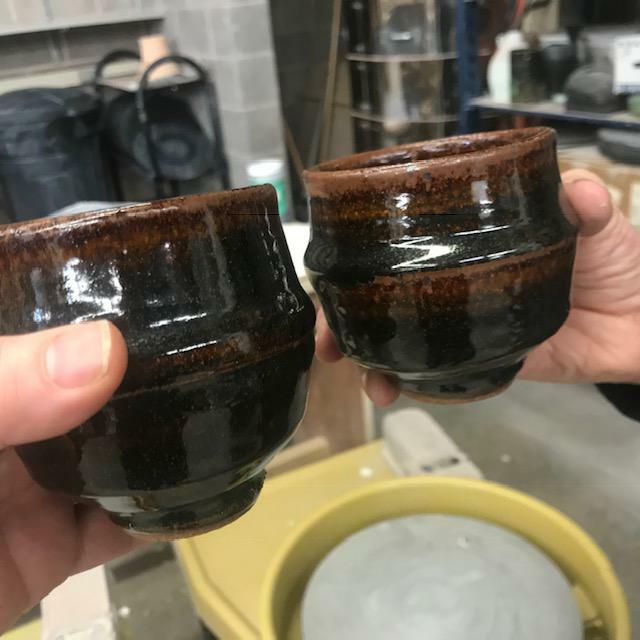 An apprentice to Bernard Leach, who studied under Japanese Master potter Shoji Hamada, MacKenzie shepherded an incredible Minnesota ceramics legacy. Minnesota potters are familiar with the warmth and delightful nature of a MacKenzie pot. His legacy lives on in the thousands and thousands of pots he created and the passion and love for clay he shared with thousands of art students, pottery teachers and ceramicists over his long and renowned career. From Jay Anderson at our sister station, WTIP, we share a conversation with Warren MacKenzie from 2014. Cheryl Husby joins Radio Gallery this week to discuss the Husby Pottery & Glass Holiday Sale 2013. The preview party will take place on Friday December 13th from 5:00pm. to 8:00pm. at Husby Pottery and Glass located at 424 S. 18th Ave. East Duluth, MN with guest artist Jim Sage. Resurfaced and Reformed: Evolution in Studio Ceramics opens at the Tweed Museum of Art with a reception on Tuesday, September 30, 2014 from 6 to 8pm. UMD professor of Ceramics Liz James has a solo show up through April 1 at the Kruk Gallery at UW Superior. “Clayscapes” is a beautiful show of installation and tabletop works created from friendly collections of wheel thrown objects. The theme of the pieces alludes to our intimate connection to our surroundings, through cityscape and landscape sculptures. Tactile and thoughtful, this show invites you to see, really see the world around you. Listen to Radio Gallery for more from Professor James.